In tomorrow’s Gospel reading, Luke 2:22-35, we come across a startling statement. 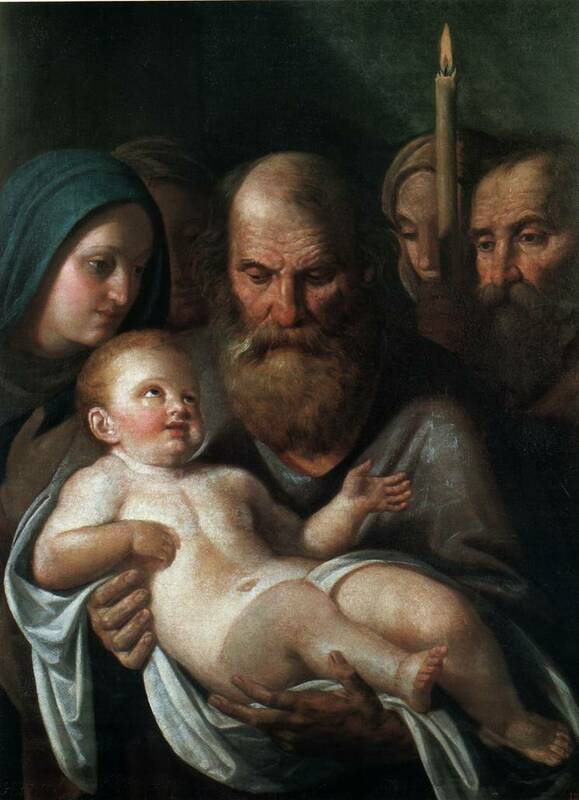 Notice that Simeon does not say “I see the infant child, this must be the one.” Rather, “my eyes have seen Your salvation.” This infant had not yet lived the (complete) perfect life. This infant had not healed anyone. This infant had not forgiven anyone their sins. This infant had not taken on the sins of the world while on the cross. This infant had not risen from the dead. And yet Simeon says, “my eyes have seen Your salvation.” This means his faith was such that since God promised all of that work in sending this infant, he believed that God would accomplish all of this other stuff through this infant. In that sense, his faith was exactly Abraham (Gen. 12; 15), Isaac, Jacob, David, and all other believers in the Old Testament. How are we doing with believing God’s promises? We who lived after the fact of the incarnation have not seen Jesus in the flesh. He accomplished the salvation of the world before even our great-great-great grandparents ever came on the earth. Our faith is the same as Simeon’s—he looked ahead in faith to completed salvation in this infant, we look back in faith to the completed salvation in this same infant/man/crucified-resurrected man. May we join with Simeon in confident faith that God promised and accomplished everything especially salvation through this infant. Today, we don’t see the infant, but we see the Savior as he comes to us through the Word, through Baptism, and through the Lord’s Supper. They are signs and seals (that do what they proclaim to us) of what this infant accomplished.